In the very beginning you need to Download or Purchase Lotus Notes to Spicebird converter and install it. Run the tool and convert all Lotus Notes Emails in MBOX file format which is supported by Spicebird application. 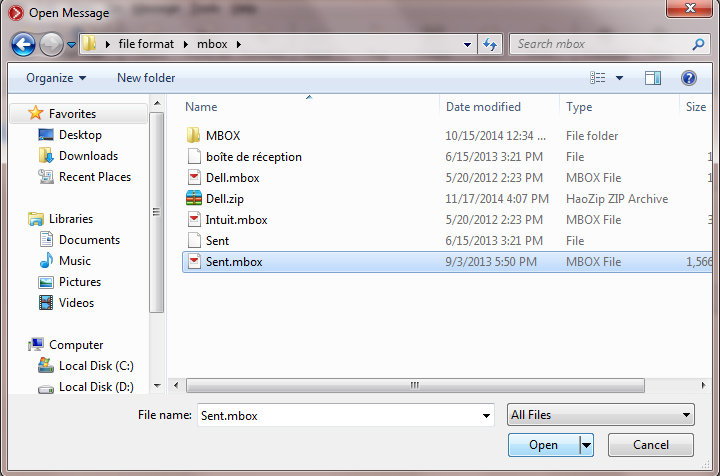 Now a window will be pop up to ask user to browse the location of MBOX file. choose the desired file to be viewed in Spicebird. Finally you can easily view and analyze the MBOX file in Spicebird readily. IBM Notes (formerly known as Lotus Notes) is a desktop-based email client introduced in the year 1989. Used mostly in corporate environments, it can be used for emailing, blogging, calendaring, browsing and many more functions. Lotus Notes is embedded with the utmost advance properties and secure platform to work with. The default database format of Lotus Notes is NSF (Notes Storage Format) file, which stores the entire data that a user works with. The entire NSF database is divided into 2 files- username.nsf, which stores the components like emails, calendars, tasks etc. and names.nsf, which stores all the contacts of that account. Spicebird is a personal information manager developed by an Indian company names Synovel. 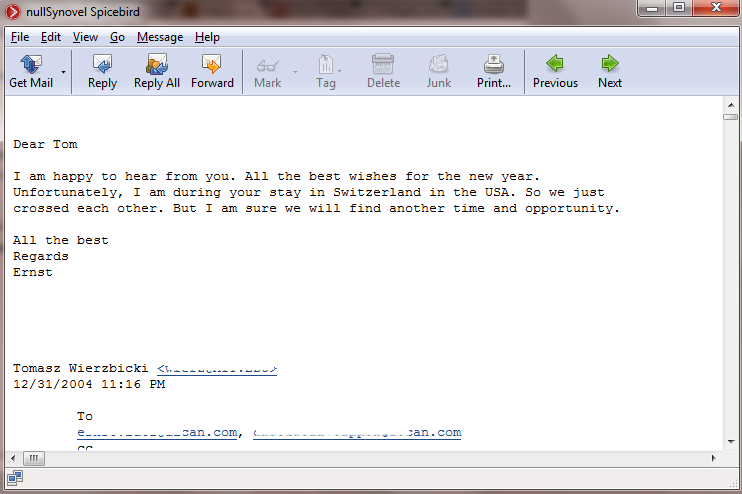 Available as open source software, it was developed on Mozilla Thunderbird's code. It provides various features like emailing, calendaring, and instant messaging to its users. The entire database of Spicebird gets stored in MBOX or Mailbox file. 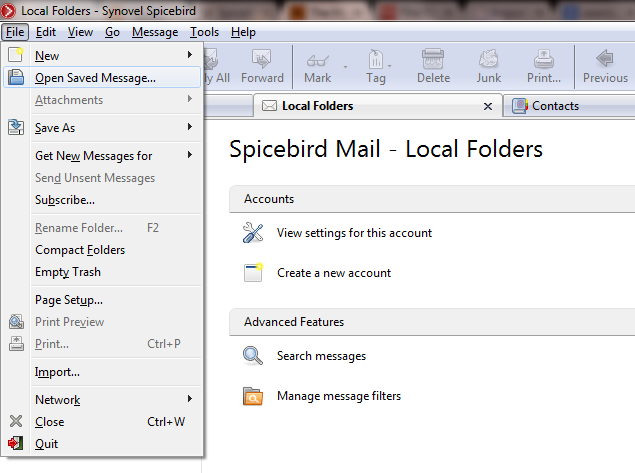 Spicebird can be used as both personal and professional front for accessing emails, calendars, and for accessing chat accounts. Using integrated instant messaging in Spicebird you can easily connect to Yahoo!, Gtalk, AIM, XMPP, ICQ and, various servers and protocols. However, with the introduction of the very same features (that made Spicebird stand out) in Mozilla Thunderbird, the development of Spicebird was seized and its support is no longer available. Lotus Notes and Spicebird support different database formats. Therefore, they differ in great terms when it comes to the structure of the both the files. Hence, when it comes to accessing Spiceword data in Lotus Notes, it turns out to be an impossible task. As NSF is not supported in Spicebird and in a similar way MBOX is not supported in Lotus Notes. No manual process has been developed to convert NSF file to MBOX. "Working out the conversion without any experience with software applications seemed difficult at first. However, Team has programed Lotus Notes to Spicebird Converter in a very efficient manner and the UI is so user friendly that even a newbie like me could operate it like a pro."